A well-designed garden increases your home’s curb appeal and provides a serene retreat right outside your door. When you plant a vegetable garden, flower garden, ornamental garden, or some combination, you’ll be surrounded by vibrant colors and textures that grass alone can’t provide. It’s the perfect place to sip your morning tea, indulge in a tranquil yoga session, or get lost in a good book. To truly maximize the beauty of a backyard garden, incorporate pathways, sitting areas, and water features into your garden. Plant fruit trees that thrive in your climate for a shade source with a delicious bounty. Gardens do more than enhance your home. They can be an incredible way to improve your mental and physical health. Gardening helps you wind down and relieve stress thanks to its effect on the stress hormone cortisol. Working outside in the garden gets you plenty of vitamin D, which fights against depression, strengthens the immune system, and works with calcium to keep teeth and bones strong. And soil itself can improve mental health, thanks to a beneficial microbe called M. vaccae. This natural soil bacteria has been linked to increased levels of serotonin and norepinephrine, neurotransmitters that benefit moods and concentration and fight against depression. If that’s not impressive enough, gardening also makes for wonderful whole-body, low-impact exercise. While some exercise engages only the upper body or the lower body (for example, walking or working out with dumbbells), gardening gets your whole body moving. From carrying pots and bags of soil to sowing seeds and picking weeds, your body goes through a wide range of motions during an afternoon of working in the garden. It’s a great way to stay flexible, gain strength and balance, and improve your fine motor abilities. If you’re growing vegetables, you’ll also benefit from the improved nutrition of fresh-picked organic fruits and vegetables. Much of the produce you buy at the grocery store was grown in soil that’s been stripped of nutrients by intensive commercial farming, and then picked before peak ripeness to extend its shelf life. Not to mention, large-scale agriculture focuses on crops that were specially bred to be uniform in appearance and able to withstand machine handling, not for their nutritional value. This means that the food you grow at home will be more nutritious and full-flavored than the stuff you buy at the grocery store, especially if you opt for heritage varieties over hybrids. The amazing health benefits of gardening is why horticultural therapy has exploded in popularity. You can find therapeutic farms serving people with mental illness and intellectual disabilities all across the country, and gardening has been shown to be an effective therapy for persons recovering from a stroke. Gardens are even cropping up in prisons as a way to give inmates a positive outlet during their sentence and marketable skills to be used after their release. Are you convinced to start a garden but not sure where to start? One of the great things about gardening is that it can be done on any scale and with any budget. 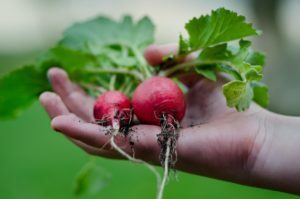 Whether you decide to hire a professional to design a beautifully landscaped backyard retreat, dig up a modest backyard plot, or make the most of small spaces with square foot gardening, pallet gardens, and planting containers, you’ll reap all the wonderful benefits that gardening has to offer.